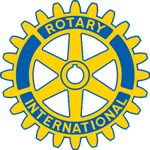 The Newport Rotary Club was organized on July 16, 1924 under the sponsorship of the Rotary Clubs of Sherbrooke, Quebec Canada and St. Johnsbury, Vermont. We received our Charter No, 1808 on August 26th 1924, less than twenty years after Paul Harris held the first meeting of Rotary in Chicago in 1905. In 1935 we joined with the Rotary Club of Sherbrooke to sponsor the formation of the Rotary Club of the Boundary with membership from Derby Line, Vermont and Rock Island, Stanstead and Beebe, Quebec. At the time this was the only Rotary club in the world with members from two countries. Our club has a tradition of service to our community and to our youth. A major example is the Northeastern Vermont Music Festival at the high school level Which we have sponsored since 1944. This is not only a major youth event but it also affords scholarships to future music educators. In 1976 we added a companion festival at the junior high level. Since 1946 our club has provided a Basketball Tournament at the elementary level for the North Country of Vermont and southern Quebec. In addition, our fund-raising projects have provided financial support to a wide variety of youth and community projects as well as the worldwide programs of Rotary International.